I just heard that a Toronto City staff report recommends making the King Street Transit Pilot permanent. I am happy to hear this. It just makes so much sense. This isn’t the 1970s; downtown Toronto is a mixed-use area where people live, work and play. I remember back in the day when we’d go downtown for work and then come 5pm it was a ghost town. Newsflash - people live downtown now, and they need to get around. 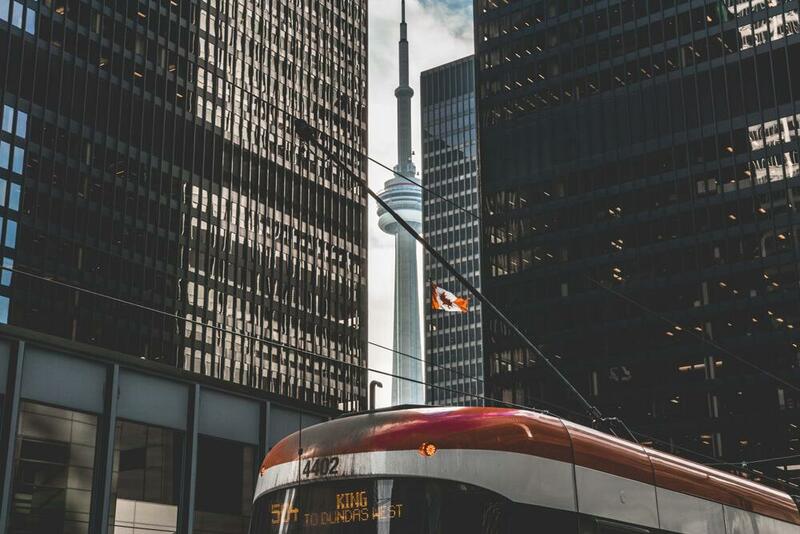 "I firmly believe it is time to make this pilot project permanent so that we can further build up and improve King Street into the excellent dedicated transit corridor that our city needs,” says Mayor John Tory. “By proceeding with this giant step forward and investing in King Street's future, we are doing the right thing for our residents – especially those who use transit along the street, the right thing for King Street, and the right thing for our city." The staff report will go before the Executive Committee on April 9, then before the TTC Board on April 11th, and finally to Toronto City Council on April 16-17th. I feel like the decision is obvious - King St. road rules should prioritize transit, pedestrians and cyclists. The Pilot launched November 12, 2017, running between Bathurst and Jarvis. During the Pilot period, daily weekday ridership was up almost 17% to 84,000 riders a day. The report also says that peak morning and afternoon travel times improved from 25 to 20 minutes, all while vehicular traffic on neighbouring east-west roads have only increased by one minute. North-south traffic hasn’t even been affected. There are also more cyclists comfortably using King in the Pilot area. Bike Share Toronto had seven stations in the area before the Pilot, and they saw 74,383 rides in 2017. Last year, during the Pilot, they added seven new stations for a total of 14 and there were 227,408 rides! When I see more cyclists, I see a friendlier street, less greenhouse gas emissions, and more efficient commutes. The report also recommends improving the public spaces that take up curb space along the Pilot area. In theory, I like the idea of streetside public spaces, but I will also be the first to admit that the installations during the Pilot were slightly underwhelming. That said, there’s more flexibility to invest in the public spaces if some of them are intended to be permanent. I’d like to see more outdoor seating for cafes and restaurants, and also more permanent looking parkette style spaces with shade and seating. "The King Street Pilot is an excellent example of city-building, as it has moved transit riders faster, improved the public realm and we have been able to identify all the ways we can make the permanent installation even better for TTC riders, area businesses, and the wider community through a pilot phase,” says Councillor Kristyn Wong-Tam (Ward 13 Toronto Centre). “I look forward to voting for a permanent installation at Council this month." Last summer, two street murals popped up at King and Church, and I thought that was an interesting idea. The murals were painted at the streetcar stops, so they were only subjected to pedestrian traffic. I’m pretty sure it was just outdoor floor paint that was used, and given the heavy foot traffic in the area, I’m guessing they’re not looking too pretty at the moment. That said, I’m interested to see if other streetcar stops get this treatment if the Pilot is made permanent. Perhaps the temporary nature of the murals will lend itself well to repeatedly engaging Toronto’s public art scene. If you rent or own a condo on or near the King Street Pilot area, then I feel like you must have noticed a difference. The street is quieter, but more people are moving on it. There are fewer cars but more pedestrians and cyclists. The street is vibrant. Many parts of the street are already tourist attractions, but I believe making the Pilot permanent will make certain sections of King an even bigger draw for tourists. I can even see property values impacted in a positive way. Who wouldn’t want to live on a street that’s transit-oriented, cyclist-friendly, and has some of the best public art, restaurants, and shops in the city?